Do you want to make your own homemade body scrubs? Are you looking for a great gift idea that you can make yourself? Are you trying to find a gift for someone who has everything? If you have answered yes to one or more of the above questions,“Sugar Scrubs: The Beginners Guide to Creating and Gifting Body Scrubs”is the book for you! This book has been written specifically for people who want to learn how to make home made body scrubs to give as gifts and use for themselves! Can I Really Make Body Scrubs From Home and Give Them as Gifts? One of the best gifts you can give someone is something that you made with your own loving hands. Not only are body scrubs healthy for you, they are a relaxing treat that both men and women can enjoy! It is very easy to make sugar scrubs, body scrubs or any type of scrub from your home. You don't need to have any special talents or abilities. Just follow the instructions in this book and you will be on your way! This is the perfect book if you want to learn how to make body scrubs for yourself and / or give them as gifts. Imagine a night to yourself just relaxing with the perfect body scrub you made yourself or the excited look on the face of the person who is opening that perfect gift you made for them! 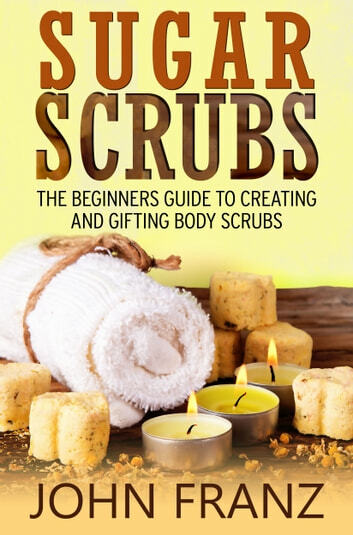 So, grab a copy of this book today and get started making your own homemade body scrubs! Amazing Smoothies: 20 Cleanse Smoothie Recipes to Help You Detox, Lose Weight and Feel Great! Easy Lotion Recipes: Natural and Budget-Friendly Recipes to Revitalize Your Skin! Dash Diet: An Easy to Follow Guide to Speed Up Natural Weight Loss,Reduce Blood Pressure, and Improve Your Health! Includes Dash Diet Recipes and a 3 Day Menu. Insulin Resistance Cookbook: Your Guide to Beating Insulin Resistance with 20 Go-To Recipes!